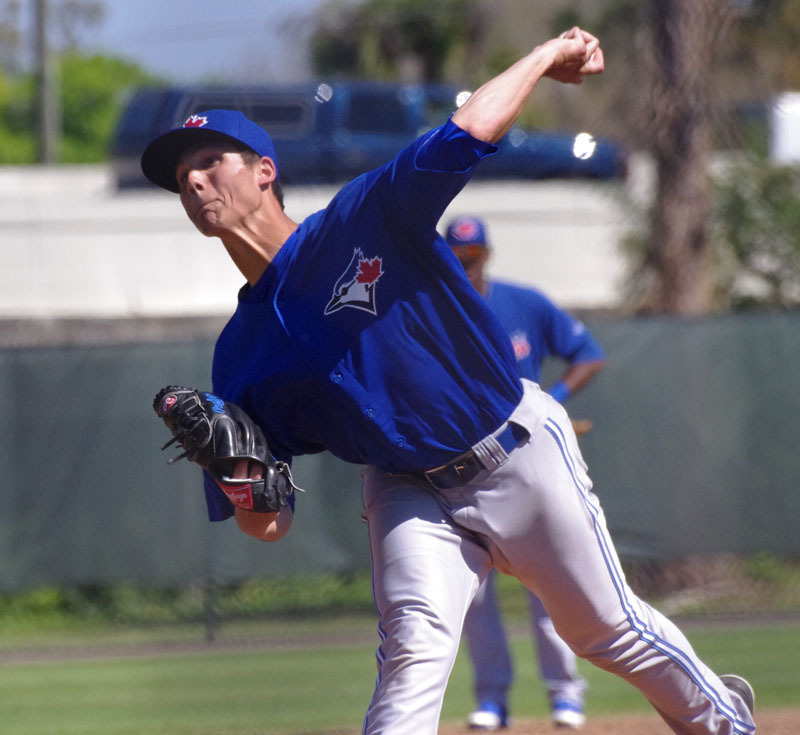 It’s Opening Day today for the GCL Blue Jays and we’re going to look at their roster to see what we can see! Obviously we have to keep in mind that the team hasn’t signed all of its 2014 draft picks yet and because of that, there’s going to be some fluctuation throughout the next couple of months. You might also see some DSL players coming over now that the US short seasons have started. Whew. That’s a lot of pitchers. So, I’m sure that you’ll agree that there’s a lot to take in here. Clearly the biggest name on this list is Sean Reid-Foley. Foley was the Jays’ 2nd round pick this year and was expected to go higher in the draft than the 49th overall selection. I know a lot of people, including Chris King, are excited to see him pitch. Hansel Rodriguez was also a big name that the Jays signed out of the Dominican Republic, using some extra cash for the international bonus pool that they picked up in a trade immediately following the Rule 5 draft. He and Mexican righty Daniel Rodriguez are the youngest players on the team (along with a couple of position players). Jake Brentz is another guy that we want to see succeed. He’s a tall lefty who’s considered very raw since he didn’t really pitch until his last year of high school. Like Matt Smoral, he’s a guy from whom we shouldn’t expect too much for another year or so. Interesting names that aren’t on the list include Tyler Gonzales and Nick Wells. Gonzales was the 60th overall pick (supplemental round) in the 2012 draft and hasn’t come through on his potential. Another notable omission is lefty Nick Wells who the Jays selected in the third round this year. Reports are that he’s signed but it may not be official yet and he will probably end up on this roster shortly. The biggest name to keep in mind here is Matt Morgan, the Jays’ fourth round pick in the draft this year. Morgan is highly touted for his catching ability as well as the potential in his bat. It’s a very mixed group of infielders that include some a high-profile international free agent and a high-profile draft pick. 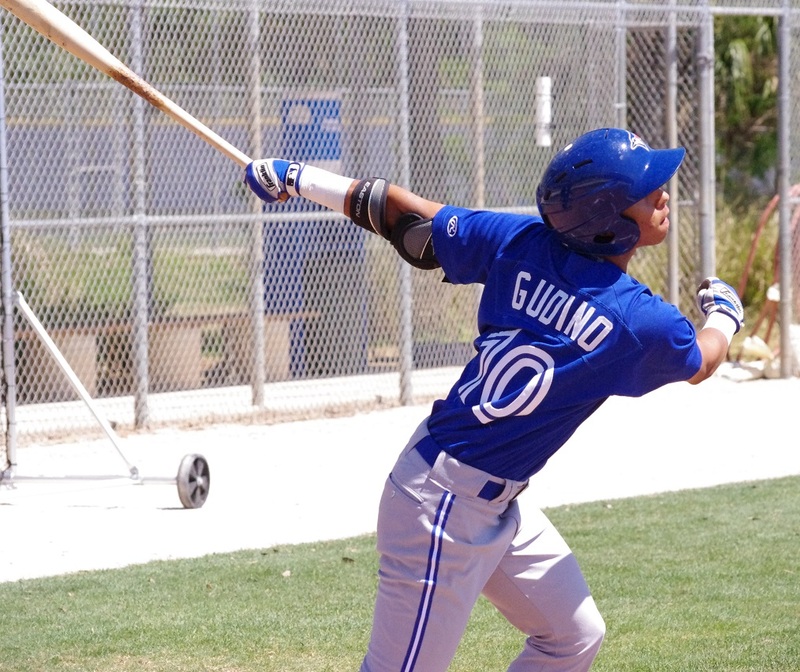 Gudino is the one to really watch seeing as he was the top ranked international pick up the Jays made in 2013. 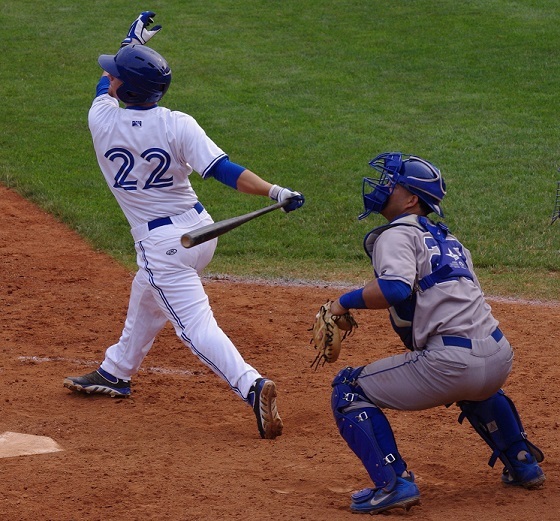 He’s the latest in a group of international shortstops that the Jays have picked up over the last three years that includes Dawel Lugo, Franklin Barreto and Richard Urena. Lane Thomas is another guy to watch. The Blue Jays went way over slot to sign him and whether he spends more time at third or in the outfield will also be interesting to see. There are two players to really keep an eye on here: Freddy Rodriguez and Andres De Aza, both are international free agents. De Aza may not have eye-popping stats from 2013 in the GCL but he could take a step forward. Rodriguez was #1a to Gudino’s #1 status from the 2013 International Free Agent class. He, along with Gudino and the Rodriguezes (Daniel and Hansel) are the youngest players on the team. For DeSouza, it will be his third year in the GCL so he’ll need to get out to a fast start. For Tejada, it’s his first year in the GCL after two uninspiring seasons in the DSL. He had 20 stolen bases last year though so he could be a top-of-the-order type of guy.